From the moment he exploded onto our screens in 1985 as 'Nasty' Nick Cotton, uttering the infamous phrase 'Alright, Ma?' John Altman changed the face of TV villains for good. As one of the show's original cast members, he is much admired for his role as the leather-jacket-wearing, chainsmoking son of Dot Cotton in the long-running BBC soap, EastEnders, a role that spanned thirty years. 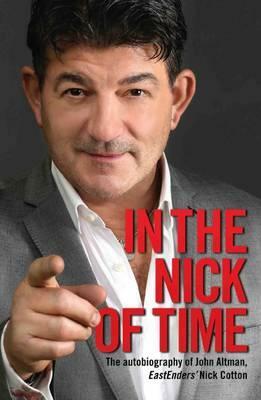 Since appearing in the very first episode, he has been at the heart of the show, his character central to many famous storylines, to the extent that he was also given his own spin-off episode, The Return of Nick Cotton, in 2000. But there is far more to John's story than Nick Cotton. This searingly honest autobiography traces the colourful childhood of a desperately shy and art-loving boy growing up in a loving household where he was encouraged to follow his dreams. But there was always something pulling him to test the boundaries - as a teenager he managed to get himself arrested for drug possession on the way back from a gap year in India, and the experimentation didn't stop there.Yet for all the tales of acting in film, theatre and television, and the people he has known and worked with, there was once a darker side to John's story. For it was the descent into alcoholism that was to test him the most. It cost him his marriage and almost his sanity, even while his own battle with his demons allowed him to shape Nick Cotton into one of the most memorable soap characters of our times. Now, for the first time, John tells it as it is, in his own inspiring words: the highs and the desperate lows and how, finally, he conquered his addiction for good.